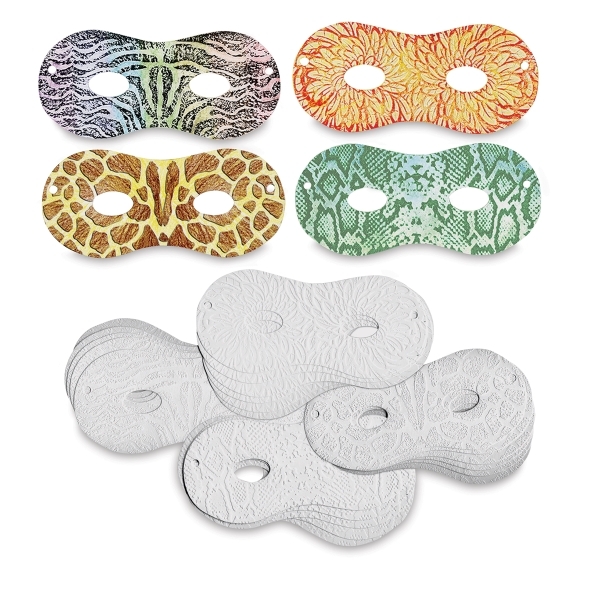 Take a walk on the wild side with Creativity Street Embossed Paper Masks. This set of 24 masks features four different animal-inspired styles to color, paint, and decorate. The realistic patterns make transforming into a snake, giraffe, bird, or zebra effortless. 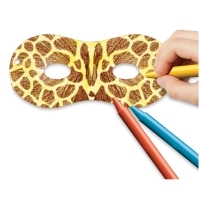 The dual-sided masks are easy to decorate — perfect for beginning artists or adults looking for a simple way to finish a costume.